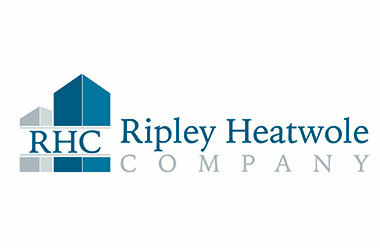 Ripley Heatwole Company (RHC) evolved from a real estate company founded in 1946 by Robert F. Ripley. Today, RHC is a full service development firm with affiliates that include a Class-A General Contractor, Mortgage Banking Services, Property Management Services, and Telecommunications. As President of Ripley Heatwole Company, Inc., Ron Ripley is responsible for the day to day operations of the company with specific emphasis on growth and direction, quality control of new and existing communities, and tenant / customer satisfaction. He is also a Principal in RH Builders, Inc., a multifamily construction company; Virginia Financial Advisors, Inc., a commercial mortgage finance company; and TELCOM Systems, L.L.C., a telecommunication company. Ron entered the business in 1969 and he has been involved in numerous complex commercial real estate transactions and has been exposure to all segments of the real estate and development business from affordable family and senior housing to mixed-use luxury apartments. Ron is a graduate of Old Dominion University with a Bachelor of Science from the Darden College of Education. He also holds a professional appraisal degree of Senior Real Property Appraiser (SRPA) from the American Institute of Real Estate Appraisers. He was appointed to the ODU Board of Visitors in 2012, and served as University Rector from 2014 – 2016. He previously served on the ODU Alumni Association Board of Directors. Ron is a current member of the Towne Bank Chesapeake Advisory Board of Directors, the Sandler Center Performing Arts Foundation Board of Directors, the Access College Foundation Board of Directors, the Virginia Beach Planning Commission, and the Virginia Beach Workforce Housing Board. He is a member of the Central Business District Association (CDBA) of Virginia Beach where he serves on the Executive Committee of the Board of Directors, and is a Past President of the organization. Ron is a former member of the Virginia Beach Wetlands Board, Virginia Beach Vision, the Towne Bank Financial Services Real Estate Board of Directors, and the Virginia Association of Realtors Political Action Committee and Legislative Committee. Former state appointments include the Virginia Condominium Advisory Board, and the Virginia State Open Space Advisory Board. He has also been active in the leadership of the Hampton Roads Realtors Association, serving as President in 1979 and again in 1996. In 2007 he received the Hampton Roads Realtors Association Lifetime Achievement Award. F. Andrew Heatwole has over 31 years of experience in residential and commercial real estate property. He has been involved in transactions for over 7,000 residential units. He is a licensed real estate broker in the state of Virginia. Currently he serves as a gubernatorial appointed member of the Virginia Housing Commission. He has served as a director of the Tidewater Association of Realtors (Virginia Beach) and the Virginia Association of Realtors (VAR). He has also served as a director of the Commercial Multiple Listing Service of Hampton Roads. His service for VAR has included the chairmanship of the Public Policy Advocacy Group, Virginia Real Estate Board Liaison Committee and Realtors Political Action Committee. Additionally, he has served or is currently serving as a member of the Commission on Growth and Economic Development (Revitalization/Brownfields), a workgroup of the Virginia Housing Commission addressing "Eminent Domain Powers of Local Redevelopment and Housing Authorities," the Habitat Management Advisory Committee to the Virginia Marine Resources Commission, Chamber of Commerce Task Force on the Environment and Growth, Timeshare Advisory Committee to the Virginia Real Estate Board, and a citizen member of the General Assembly Joint Subcommittee studying transfer of development rights and other land use issues. Among Andy's primary areas of expertise are project feasibility, financing and land acquisitions. This includes comprehensive environmental, municipal and political considerations. He has offered testimony on public policy, land use practices, and environmental matters before several committees of the Virginia General Assembly, the President's Commission on Domestic Policy, Congress, and various federal and state agencies. Ripley Heatwole's Development and Construction Division (RH Builders) is responsible for providing construction management services as the acting General Contractor on all of our properties we build. Scott Ripley has lead this division since 1982. He is currently President of RH Builders as well as a principal in Ripley Heatwole Inc. Scott graduated from Old Dominion University with a BS in 1974. He went on to the Medical College of Virginia and graduated as a pharmacist in 1978. After working for five years as a pharmacist at DePaul Hospital, Scott came back to his roots and joined the family business in 1983. Scott is a skilled administrator and leader with many years of construction management experience on site and administratively including the construction of over 5,000 units throughout the Commonwealth of Virginia. Scott works closely with the locality as well as Architects and Engineers to ensure a “buildable”, functional and smart design as well as a quality finished product for each of our properties. Repeatedly, Scott's leadership and hands-on approach have proven to be the key factor for bringing projects to their completion while solving complex problems during the process of construction. He is supported by Certified Construction Projects Manager, Assistant Project Manager/Estimator, Construction Accountant, Administrative Construction Assistant as well as several on Site Superintendents, Assistant Superintendents and laborers. In addition to his construction responsibilities, he also works extensively with the Property Management arm of Ripley Heatwole Inc. concerning the asset management of our existing communities. For over 25 years, Nancy has worked with the Ripley Heatwole Company specializing in accounting for tax credit and conventional multi-family properties. As Controller, she understands the complex aspects of the many entities involved in real estate development. Nancy is responsible for coordination, preparation, and financial analysis of operating budgets for Ripley Heatwole Company, Virginia Financial Advisors, RH Builders, and the many entities set up for the development of each property. As a Vice President of Ripley Heatwole, Nancy advises the Principles, offering suggestions for improving operations through profit / cost improvements. She manages employee benefit programs, company insurance policies, and the administrative staff. Nancy specializes in accounting for Low Income Housing Tax Credits (LIHTC), and has expertise in Virginia Housing Development Authority (VHDA) reporting, Rent Roll software, Timberline accounting software, financial planning, and all aspects of accounting. Daniel Heatwole is the Vice President of Development at Ripley Heatwole Company, Inc., where he is responsible for overseeing the Acquisitions and Development Department. Daniel's responsibilities include purchase contracts, negotiations, project design review, project feasibility, financial analysis, due diligence matters, zoning approvals, permits, and ongoing project coordination. Daniel is well versed in Housing Tax Credit (LIHTC) applications and syndication; Virginia Housing Development Authority (VHDA) loan placement; and municipal policy considerations and design. Daniel is an active member of the community and is involved in many organizations including the Urban Land Institute Hampton Roads Young Leaders Group, Hampton Roads Public Transportation Alliance, Hampton Roads Association for Commercial Real Estate, and the Hampton Roads Realtors Association. He serves on the Board of Directors for the Virginia Beach Division of the Hampton Roads Chamber of Commerce. He is also a founding member of the Bank @Lantec Community Advisory Board. Additionally, Daniel is a member of the Central Business District Association (CDBA) of Virginia Beach where he serves on the Executive Committee of the Board of Directors. Daniel is an original member of the CBDX, the young professional's branch of the CBDA, where he serves on the Board of Directors and is a Past-President (2011 – 2012) of the organization. Daniel graduated from Virginia Tech in 2005 with a Bachelor of Science in Apparel, Housing, and Resource Management; and a Minor in Business. Daniel also holds a Virginia Real Estate Salesperson License. Doug Ripley is the Chief Information Officer (CIO) of TELCOM Systems, where he is responsible for overseeing personnel, systems and vendors associated with the Company's billing and subscriber management for most of the 9,000 multiple dwelling units (MDU) it services as well as its property owners/managers which includes RHC. Additionally, Doug assists with decisions as part of RHC's Executive Team. Doug's responsibilities as CIO include building and managing the portfolio's rate cards on TELCOM's primary billing and subscriber management system for internet, telephone and DISH Network, coordinating and executing the Company's billing cycle via electronic and print, taking various steps along the way to ensure the information stored is secure, accurate and cost-effective, communicating any changes or modifications of TELCOM's systems to its Customer Service staff, creating and updating informative materials that are distributed both internally and externally, creating and maintaining tasks designed to limit delinquency among its active and inactive subscribers, and many other tasks. Doug has served in his current role with TELCOM since 2014. Prior to that, Doug joined TELCOM in 2011 and aided in the Company's transition into a DISH Network Private Cable Operator as well as an internet and telephony service provider for MDU. Prior to joining TELCOM, Doug was the first Assistant Manager at Wesleyan Place, a 91-unit independent living community developed and managed by RHC for low-income seniors aged 55 and up, from its opening in 2008 until the end of 2010. 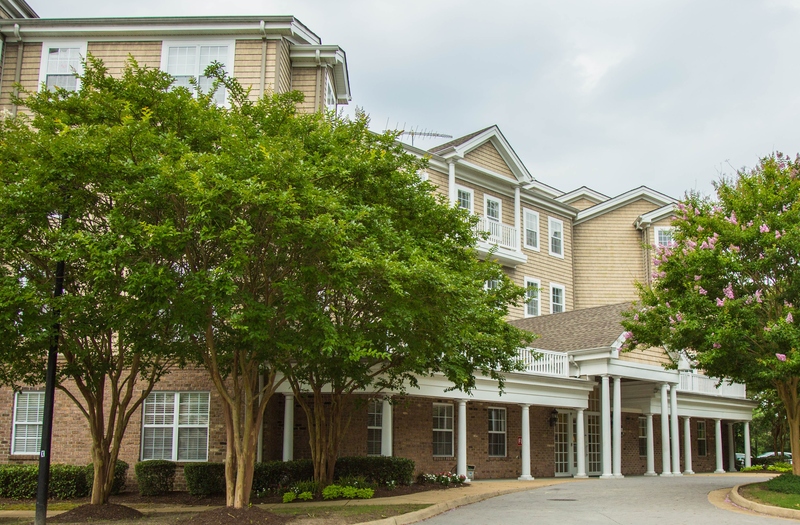 Doug transitioned to Wesleyan Place after serving as a leasing consultant at the original phase of Avondale at Kempsville, a 190-unit “Big House” multifamily development also developed and managed by RHC, starting in 2007. Outside of his roles with RHC and TELCOM, Doug is an avid sports fan and plays an active role in the sports community at-large. A Virginia Beach native, Doug works independently as a play-by-play broadcaster, sideline reporter, studio host and public address announcer for Old Dominion University Athletics and ODU Sports Properties. Additionally, he has called over 25 NCAA Championships that have been hosted by Salem, Virginia, and has announced the Atlantic Coast Conference Wrestling Championship since 2010. He's appeared on the microphone at a variety of other major sporting events including, but not limited to, the Army Ten-Miler, Baltimore Ten-Miler, Annapolis Ten-Miler, Ukrop's 10K, Richmond Marathon and Virginia Duals, and the Virginia and Maryland Triathlon Series. During the fall, Doug is the public address announcer for Frank W. Cox High School varsity football. He has previously served in similar announcing capacities at Virginia Tech, Virginia Wesleyan College, the Old Dominion Athletic Conference, Virginia High School League, Virginia Beach Mariners and Virginia Beach Piranhas, in addition to various other sports at Cox HS. Jim has worked with RH Builders/Ripley Heatwole Inc. for over 11 years. As Vice President of Construction, Jim is responsible for representing the firm with clients and consultants on virtually any range of subjects related to Construction Management and Project Development. Jim is responsible for day to day management of all ongoing construction projects whether new construction or renovations to existing properties as well as the supervision, assignation of job tasks and management of other construction personnel. Supervising all on-site personnel at properties assigned and personnel assigned on special projects as well as estimating, project scheduling, contract negotiation and scope delineation are some of Jim's other responsibilities. He works closely with other RHC departments within the company, including property management, accounting, data processing and Development. Additionally, Jim maintains relationships with clients (e.g., owner, syndicator, general partners, Architects/Engineers, Municipalities) as appropriate, with the community and the profession and maintains relationships with suppliers, vendors, Subcontractors and professionals servicing the company or properties. Jim has a 10 year track record of successful projects on his resume including Avondale Apartments, Wesleyan Place Senior Apartments, Cromwell Apartments Rehabilitation, Westwinds Apartments Rehabilitation and a joint venture with the City of Virginia Beach for the construction of Constitution Drive Extended, for which Ripley Heatwole received an award from Virginia Beach City Council. Jim received his Certified Construction Manager certification in 2009 from ODU and his PMP (Project Management Professional) designation (a worldwide credential from The Project Management Institute) in 2011. Matt Ripley is the Director of Sales for TELCOM Systems where he is responsible for the acquisition of new business, working with property owners and property managers to ensure the existing business runs properly, and helping to oversee the day to day operations in the office of TELCOM. Matt also has a role in assisting with the operations of the property management and development companies for Ripley Heatwole Company. Matt is actively involved in the community and several volunteer organizations. He is an original member of the CBDX, the young professional's branch of the Central Business District Association (CBDA) of Virginia Beach. Matt also serves as the current President of the Norfolk Crime Line. Matt graduated from George Mason University in 2002 and received a Bachelor of Science in Business Management. Vivian Bryant is responsible for the overall property management for Ripley Heatwole Company (RHC), and has over 20 years experience in the multifamily industry. She has successfully been involved in the planning, construction, rehabilitation, lease-up, and stabilized operations of properties within the RHC portfolio. Vivian has been managing both Conventional and Tax Credit properties for RHC for over 15 years. She is knowledgeable of the VHDA reporting procedures and compliance requirements, including the WTCMS program. Vivian is skilled in Onesite and is actively involved in property supervision, weekly and monthly reporting, and the development of the properties' operating budgets. In addition, Vivian is experienced in the VRLTA and Fair Housing guidelines, and attends annual training for multifamily laws and requirements. As a the Vice President of Property Management, Vivian works closely with the Regional Property Managers and the Facilities Managers to ensure properties are operating efficiently. Additionally, she is responsible for the start-up of new properties including marketing strategies, hiring of new employees, and internal operations. In an effort to continually improve the profitability of the properties, Vivian is instrumental to the development and implementation of programs and guidelines designed to increase revenue and decrease expenses. In May of 1946, Robert F. Ripley opened his own business in the name of Robert F. Ripley, Realtor. Today, that company has evolved into Ripley Heatwole Company, Inc., with affiliates that include a Class-A General Contractor, Mortgage Banking Services, Property Management Services, and Telecommunications Company. Bob attended Norfolk Business College, the University of Richmond, and the Norfolk Division of the College of William & Mary (now Old Dominion University) where he majored in Business Administration. He served in the U.S. Navy from 1943 - 1945. During his time in the Navy, Bob was awarded the Bronze Star for leading a party that saved an abandoned ship. He also received the Philippine Island Campaign Ribbon, the Pacific Theater Ribbon, the Atlantic Theater Ribbon, and the World War II Victory Ribbon. While rising to prominence as a realtor and developer in Hampton Roads, Bob contributed equally to the civic well-being of not only the region, but the entire Commonwealth of Virginia. He served as Chairman of the Chesapeake Rotary Club Paint Your Heart Out Project, in which hundreds of volunteers spread out across the region repairing and painting homes for senior citizens who could not otherwise afford to pay for the work. He received the Hampton Roads Chamber of Commerce - Chesapeake Division Commendation Award in recognition of his role as catalyst for the project. Additionally, Bob served on numerous boards and commissions including; the Norfolk City Council, as Commissioner of the Hampton Roads Sanitation District Commission, the United Communities Fund Board of Directors, Chairman of the Mayor's Citizens Advisory Committee for Community Planning in the City of Norfolk, the Norfolk Board of Realtors Civic Affairs Committee, and the Governor's Advisory Council on Alcoholism for the State of Virginia. The major projects listed below were developed by Ripley Heatwole Company, Inc. over a time period spanning back to 1980. RHC has developed over 5,000 multi-family units during this time period and continues to develop several new quality communities. 525 Historic Kempsville is a mixed-use community consisting of 168 apartment homes and up to 7,000 square feet of commercial space. 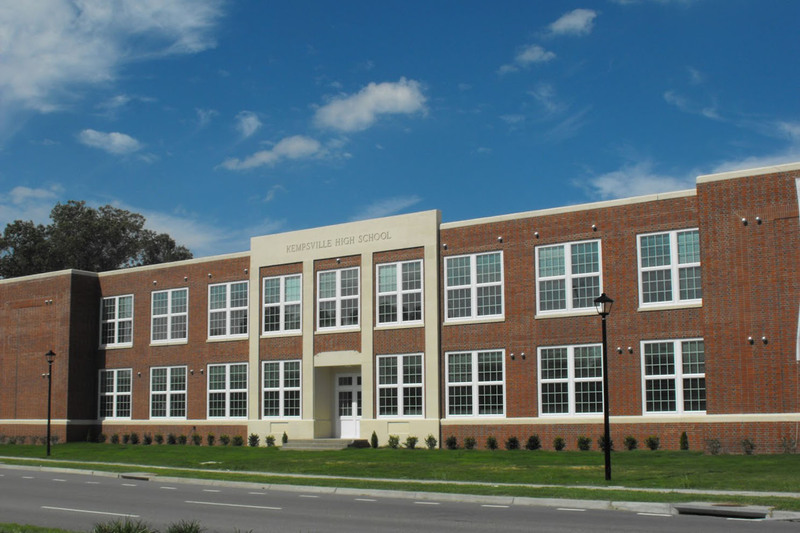 The project includes the adaptive reuse of the historic Kempsville High School to 24 unique apartment units as well as community space and leasing offices. 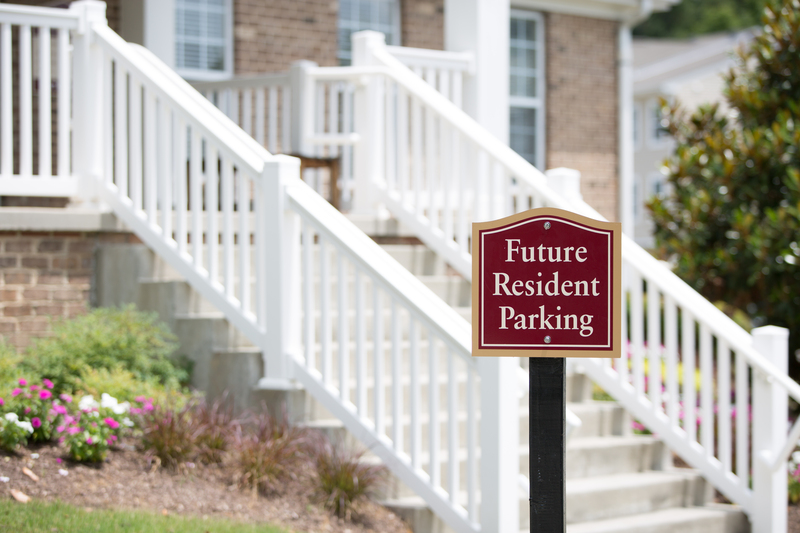 An additional 144 new construction units will be built in two three-story 'courtyard style' buildings, which offer sheltered parking in each courtyard. Arbour Reach Apartments is a quality garden community that caters to the lifestyle of the areas active family. This community is located in the Churchland section of Portsmouth and contains 92 apartments, a pool and a playground. Financing was provided by Bank of America, VHDA and Related Capital Company. 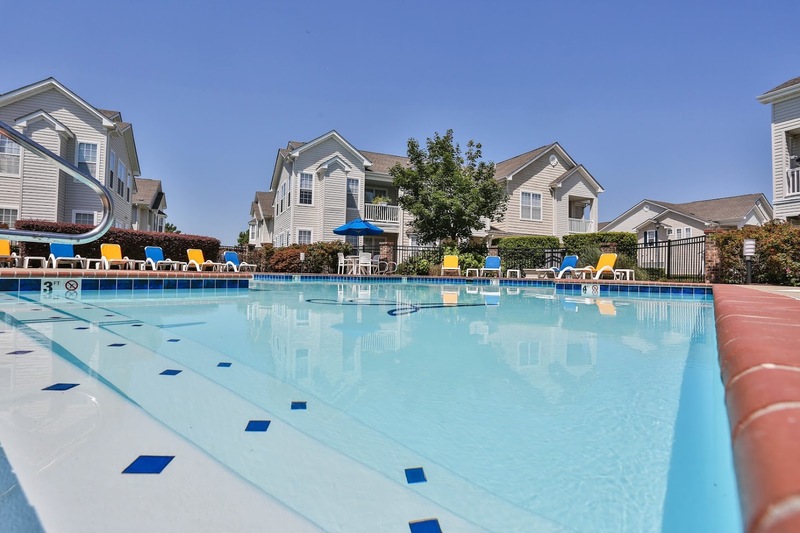 Avondale Apartments is a luxury Humphreys Big House™ style community located in the Kempsville area of Virginia Beach. This unique design complex features 10 units per building with a total of 190 units. 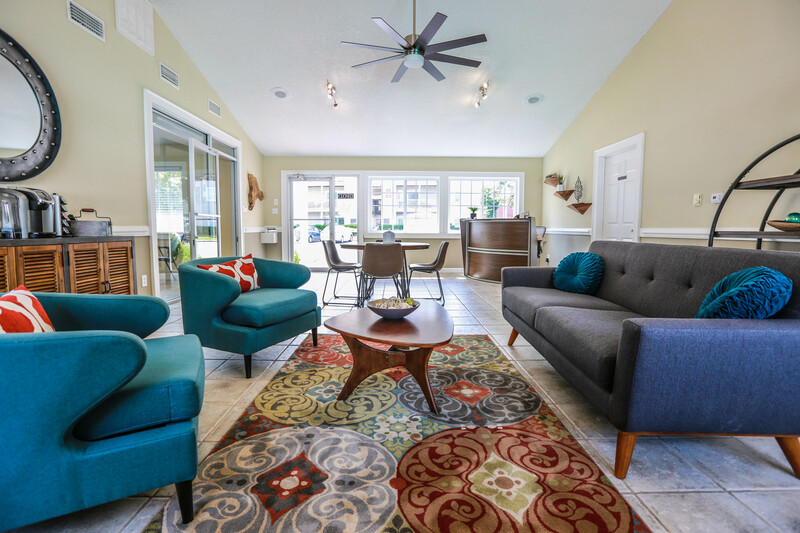 Avondale includes such upscale amenities as fireplaces, bay windows, private garages and entrances, plus a clubhouse with business center, fitness center, clubroom, and pool. A second phase is planned for the future. Financing was provided by VHDA. 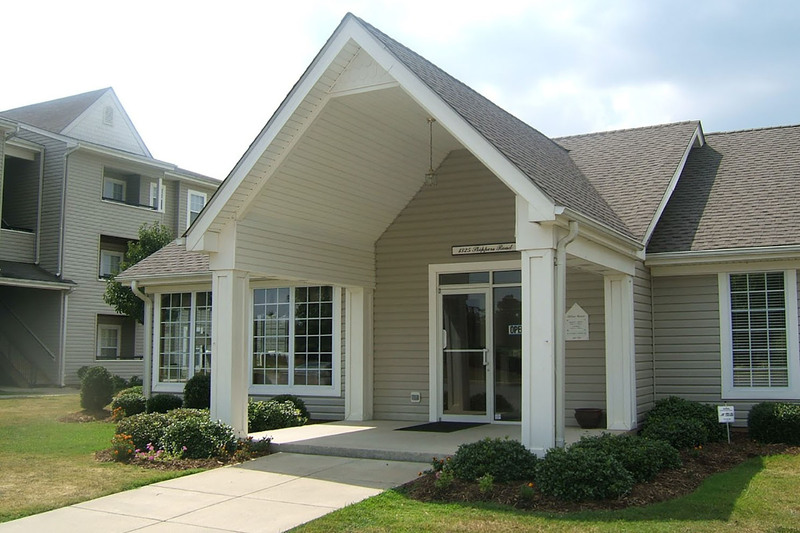 Brookridge Apartments is a contemporary garden style community that provides market rate quality housing to the work force families of the semi-rural area of Greensville County, Virginia. 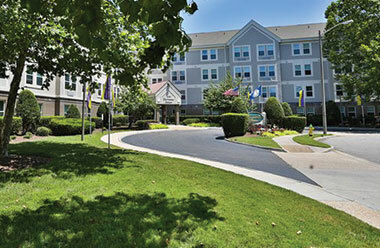 Brookridge was built in two phases and contains 124 units and a resort style pool. Financing was provided by VHDA, Wachovia Bank and Related Capital Company. 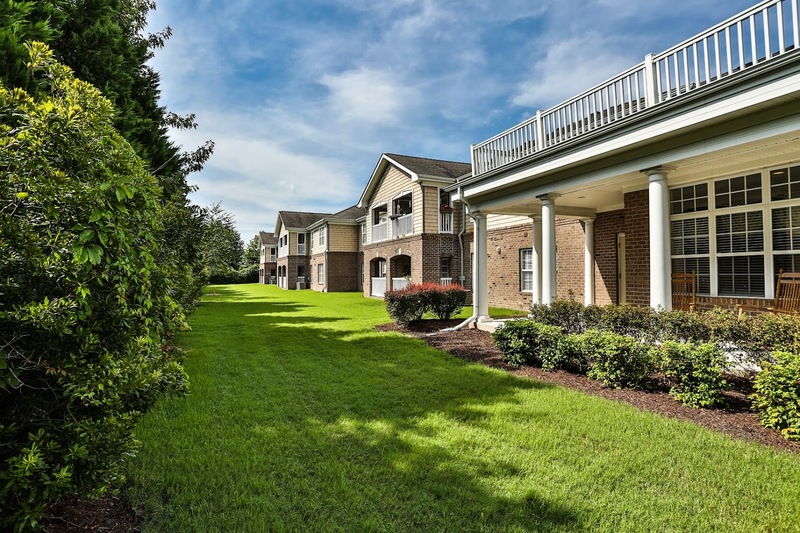 The Cedars Apartments is an amenity rich market rate garden apartment community that is conveniently located in the heart of the Greenbrier section of the City of Chesapeake. The Cedars contains 272 units, a contemporary clubhouse with a pool and fitness center. The buildings are sited around a large stocked fishing pond. Financing was provided by Central Fidelity/Wachovia Bank, Virginia Federal S&L, and Bank of America. The Cottages at Great Bridge is a unique senior apartment community that includes a mix of one story cottage apartments and a two story flat over flat terrace apartments. This community is located in the Great Bridge section of Chesapeake next to the award winning River Walk community. Phase 1 contains 96 units and Phase 2 will contain 32 units. The community includes multiple community rooms, library, beauty salon, community transportation and a picnic pavilion. Financing was provided by VHDA, Wachovia Bank, and Related Capital Company. Cromwell House Apartments is a four story mid-rise community that caters to the independent active seniors. This community is conveniently located in the Wards Corner section of Norfolk, which is a popular regional retail node that offers a wide variety of shopping and services, public transportation and medical facilities to the residents. Cromwell House contains 205 apartments, an activity room, community transportation and a library. Financing was provided by Bank of America, VHDA, and Sun America. Derby Run, a modern garden community is located in the Langley Air Force Area of Hampton. 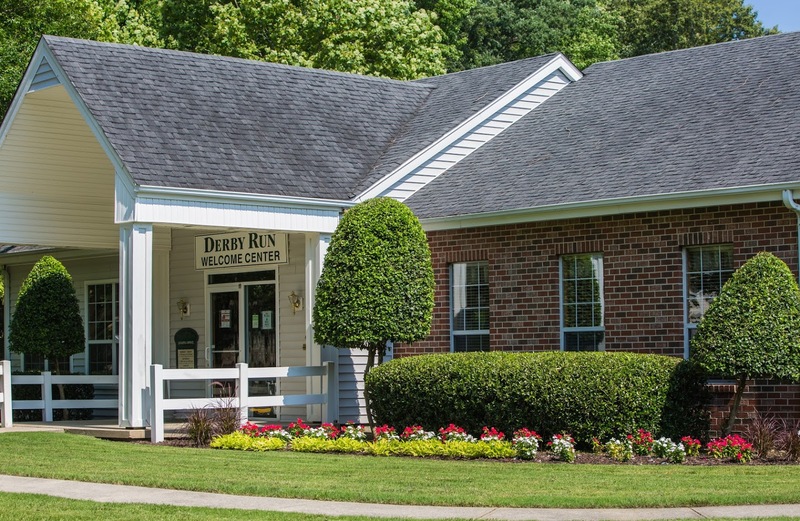 Derby Run was built in two phases and contains 304 units, a modern clubhouse with a resort style pool and two playgrounds. Financing was provided by VHDA, Bank of Hampton Roads, and Related Capital Company. Dogwood Terrace, previously Mountain View Townhouses, is a quality Townhouse community that caters to the areas work force resident. Upon acquisition, this community underwent a planned major rehab and is now a quality apartment community. Dogwood Terrace is located in a western Virginia rural area of Big Stone Gap, and contains 97 units. Financing was provided by VHDA, Powell Valley National Bank and Related Capital Company. Franklin Arms was developed for the Norfolk Redevelopment and Housing Authority as part of the mixed use HOPE VI "Broad Creek Renaissance" Revitalization Plan. This beautiful senior community is a striking colonial mid-rise building that contains 100 units. Franklin Arms was developed with ACC subsidies using layered financing of HOPE VI Funds, City of Norfolk Funds, Housing Tax Credits, and equity funding by Related Capital Company. 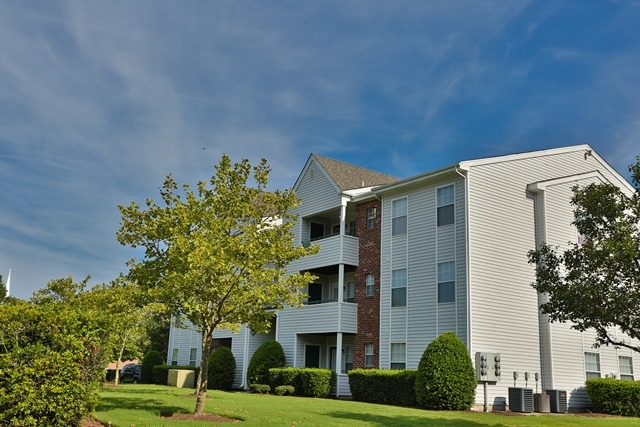 Grafton Station Apartments is an excellence market rate garden apartment community that is located in York County, Virginia. This project contains 252 apartments and is part of a large mixed use community in Grafton that includes a shopping center, townhouses and apartments. Financing was provided by First of America Bank. Holland House Apartments is a superbly designed mid-rise apartment community that caters to the independent active senior resident. This community is located in the Chimney Hill section of Virginia Beach and contains 112 units, several activity rooms, library, beauty salon, exercise room and community transportation. Shopping, restaurants and public transportation are conveniently located near to this community. Financing was provided by Bank of America, VHDA and Related Capital Company. Impressions Apartments is a beautifully conceived market rate garden family style apartment community. This community is located in the Oyster Point section of the City of Newport News and was built in two phases. Impressions contain 282 units, a contemporary clubhouse with a large "L" shaped pool and tennis court. Financing was provided by Bank of America and VHDA. 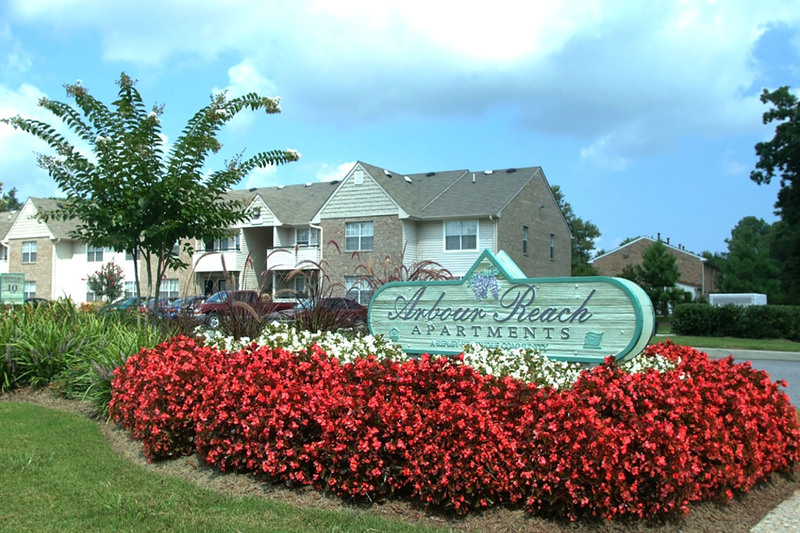 Midtown at Town Center Apartments is a high-end luxury apartment community near the Town Center of Virginia Beach. 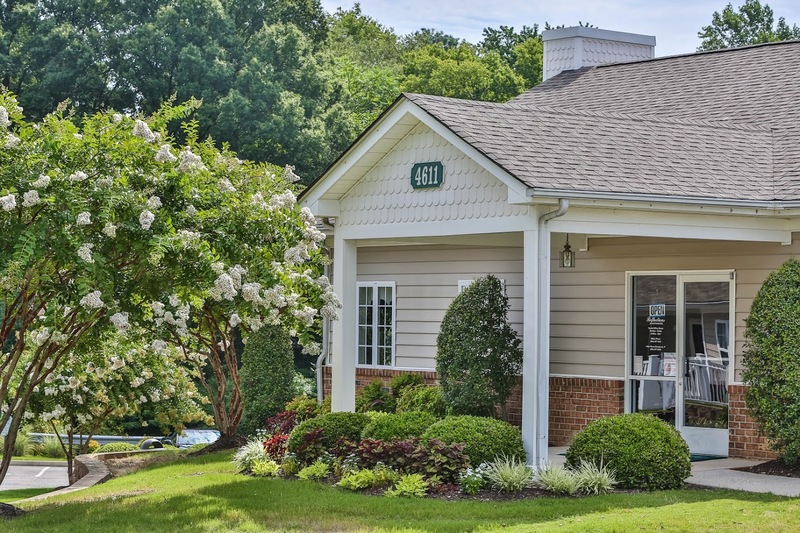 Located along the planned Thalia Creek Greenway, Midtown is a community where residents can live, work, and play all within walking distance of Virginia Beach's burgeoning downtown. Financing was provided by Wachovia and VHDA. Mill Creek Apartments is designed to blend into this single family residential area of Deep Creek in the City of Chesapeake. Mill Creek contains 120 apartments, modern clubhouse, pool and playground. This suburban garden community was financed by Central Fidelity Bank / Wachovia Bank, VHDA, and Sun America. Monmouth Woods Apartments is a garden apartment family style complex. 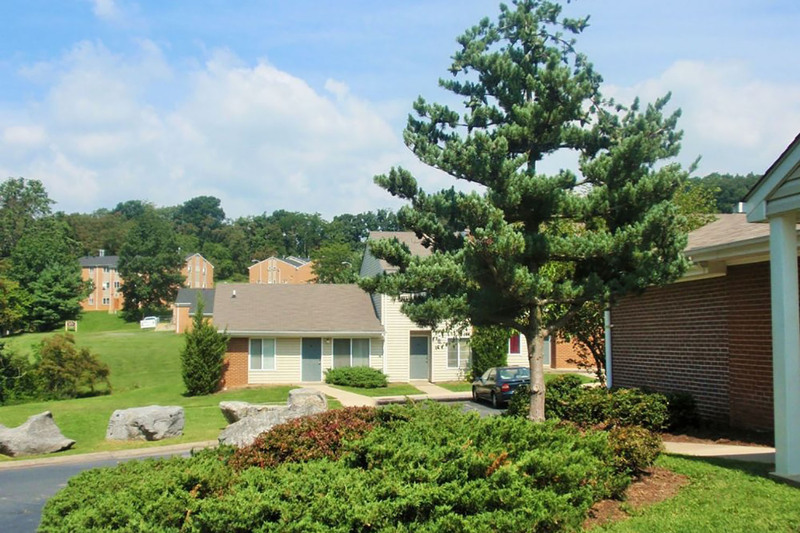 This community is located in the northern Virginia area of Dahlgren and was built in two phases and contains 152 units, modern clubhouse, pool and playground. Financing was provided by VHDA, Commerce Bank, and Boston Financial. 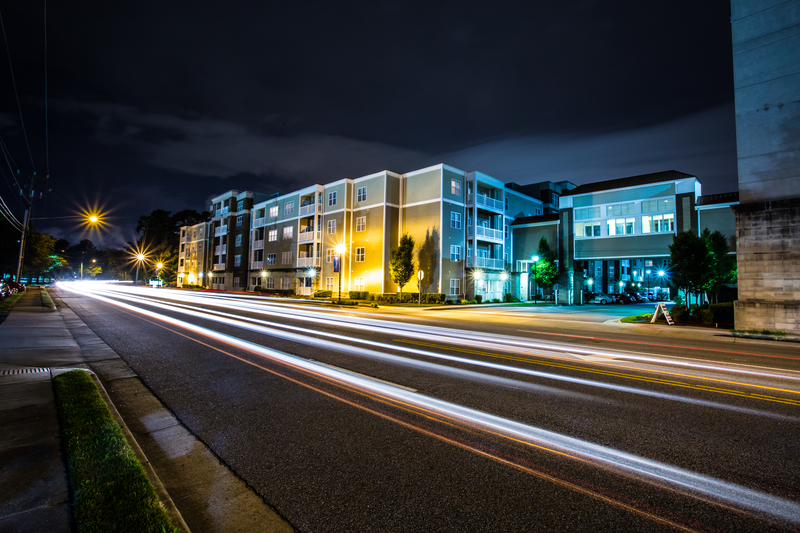 Pilot House Apartments is a three story walk-up style apartment community that is located in Newport News, Virginia, adjacent to the Oyster Point Business Park. Pilot House contains 132 units, contemporary clubhouse and pool. Located adjacent to a major employment center is a major plus for this property. Financing was provided by VHDA, Boston Financial and Farmers Bank of Windsor. 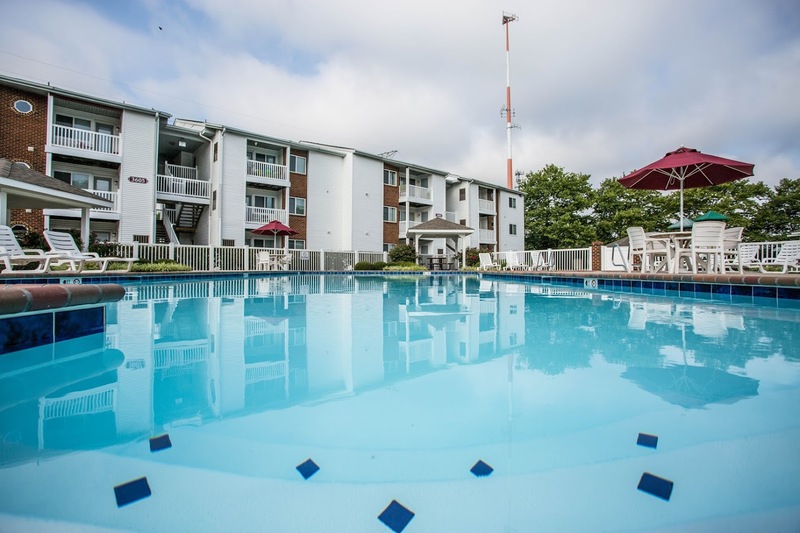 Preston Place Apartments is a quality garden style family apartment community that caters to the small northern Virginia town of Winchester and contains 120 units. Financing was provided by Bank of Hampton Road, and Farmers Bank of Windsor and Boston Financial. Reflections Apartments is a unique senior campus style community where all units are one story in height and each apartment has its own fenced garden patio area. This community is located in Henrico County, Virginia and contains 104 units, a professionally decorated community center and community transportation. A fountain water feature is located in the lake that is located on this site. Financing was provided by Wachovia Bank, VHDA and Related Capital Company. 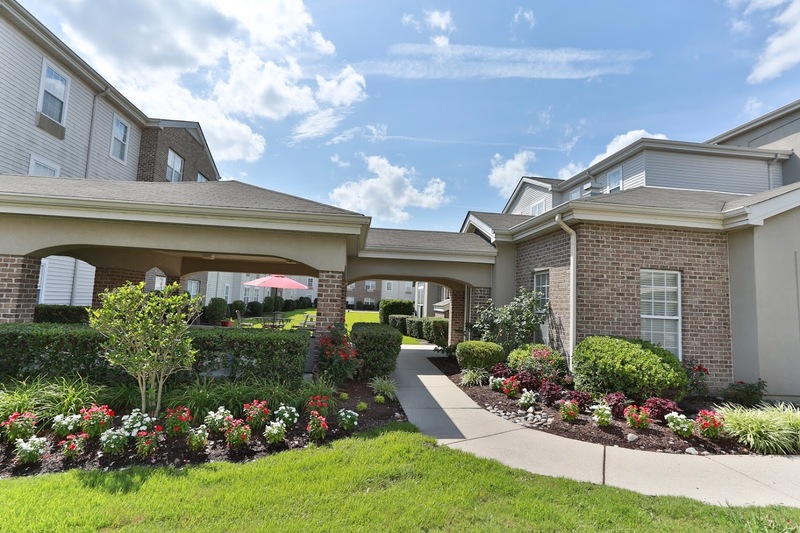 Summerdale Apartments is a superb 124 unit garden style community for the family on the go. Conveniently located just minutes from Richmond International Airport, Summerdale provides quick access to Interstates 64, 95, and 295. Community Amenities include a resort style pool, clubhouse, and playground. Financing was provided by VHDA, through an allocation of housing tax credits purchased by Related Capital Company. Tallwood Apartments is a quality three story walk-up apartment community that caters to the today's modern family. This community is conveniently located in the desirable Kempsville section of the City of Virginia Beach, Virginia. Tallwood contains 120 units, a beautiful clubhouse with a resort style pool, outside two acre sport/recreation area, and playground. Financing was provided by CharterMac, Wachovia Bank, and Related Capital Company. 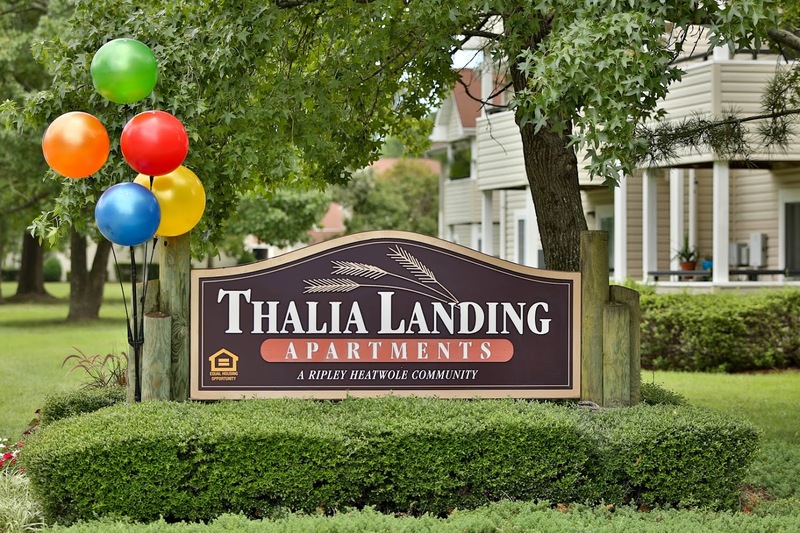 Thalia Landing Apartments, previously Pine Oaks Village Apartments was a major rehab project that is an outstanding garden community. This community is conveniently located in the Pembroke area of Virginia Beach, Virginia near the new Town Center. It consists of 154 apartments, clubhouse, playgrounds and a large pool. Layered financing was provided by VHDA, City of Virginia Beach Block Grant funding and Related Capital Company. 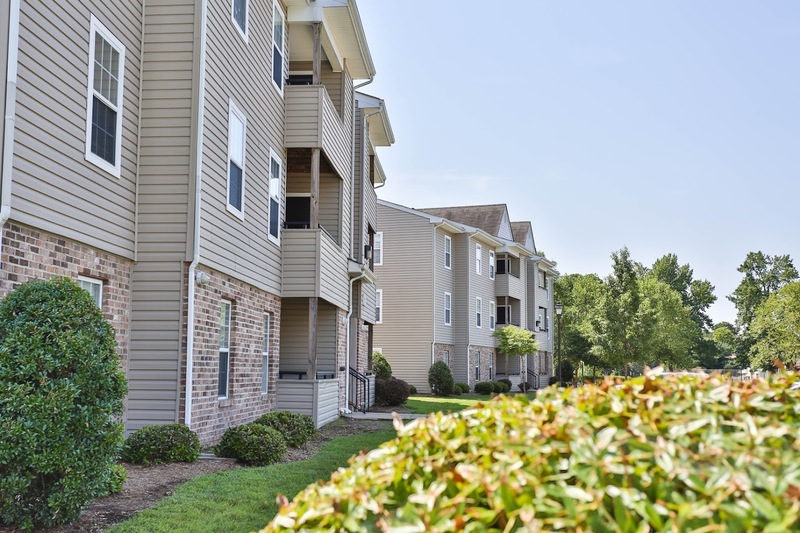 Station at Norge Apartments is a three story walk-up apartment community conveniently located just minutes from Interstate 64 between Williamsburg and Richmond. The Station contains 104 units and features such amenities as a resort style pool, a barbeque/picnic area, playground, and a walking/jogging trail. Financing was provided by Wachovia Bank, VHDA, and Related Capital Company. 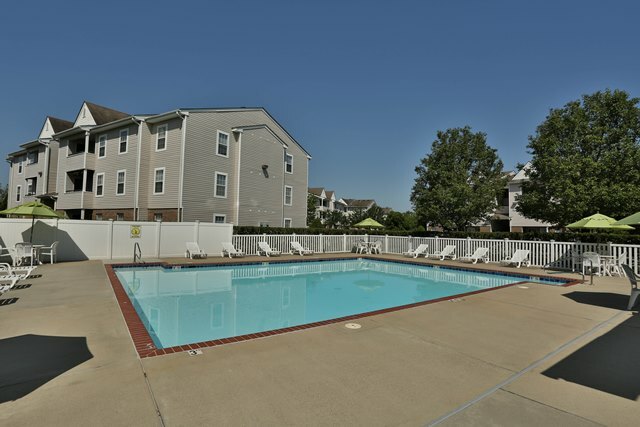 Tradewinds Apartments is part of a mixed use community of Magruder Estates and is located in the City of Hampton, Virginia. This property is a modern market rate three story walk-up style apartment community and contains 284 units, modern clubhouse and pool. Financing was provided by Bank of America and Mass Mutual Insurance Company. Victoria Place Apartments is a high quality four story senior mid-rise that is strategically positioned in a commercial / residential mixed use development on Shore Drive in the City of Virginia Beach, Virginia. Victoria Place consists of 122 units, picnic pavilion, activity rooms and a library. Part of the building over looks a lake and part faces an urban shopping area. This location features convenient shopping, services and both community and public transportation. Financing was provided by VHDA and Related Capital Company. 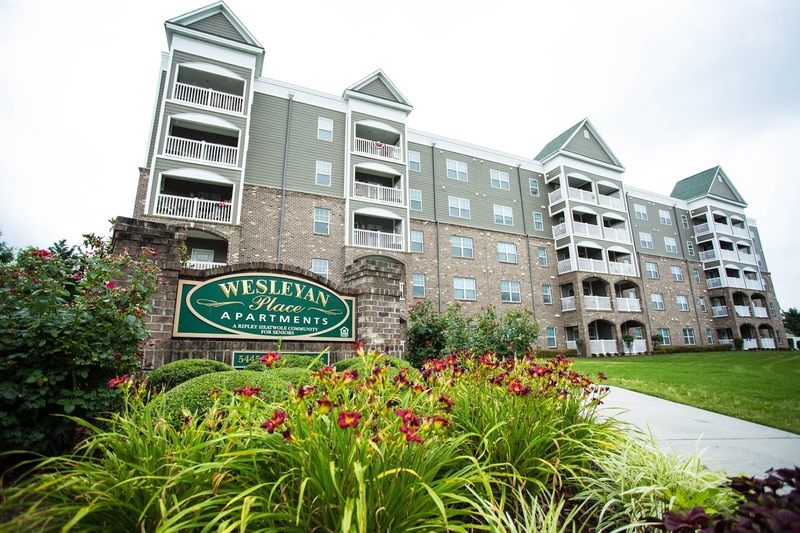 Wesleyan Place Apartments is a beautiful 91 unit five story mid-rise apartment community serving independent seniors. This community was built to EarthCraft construction standards which "serves as a blueprint for healthy, comfortable homes that reduces utility bills and protects the environment." Financing was provided by VHDA and Centerline Capital. Westwinds Apartments is a desirable market rate community that services the active lifestyle families of the tri-city area of Churchland. This community was built in three phases and was recently renovated. Westwinds contains 408 units, a contemporary clubhouse with a large resort style pool, tennis court and playgrounds. Financing was provided by Pioneer Financial S&L, VHDA, and Bank of America. Willow View Apartments, formerly Lincoln Square, is a townhouse community of affordable housing that is located in Staunton, Virginia. Willow View underwent a major rehabilitation and now contains 110 renovated apartments, a contemporary clubhouse and a playground. Financing was provided by VHDA and Wachovia Securities. York Pointe Apartments is a high-end market rate family apartment complex. The design of the building provides the appearance of townhomes however all units are flat over flats. This community is located in York County, Virginia and contains 202 units, a handsome community building with a garden pool. Financing was provided by Virginia Federal S&L and Pioneer Financial S&L. Daybreak Condominiums is a multi-level condominium development that consists of 280 units that is located in the Denbigh section of the City of Newport News, Virginia. This community design includes garden flats and townhouse units over flats, a beautiful community building with a pool that overlooks a central lake. Financing was provided by Sun Trust Bank and Cenit Bank. Priorslee Townhomes are located in Williamsburg, Virginia and consists of 57 upper end colonial brick townhouses. Attention to the authentic colonial detail is a primary element of this beautiful community. Financing was provided by Bank of America. York Crossing Townhouses are located in the mixed used community of Grafton in York County, Virginia. This community consists of 242 traditional large brick and siding townhouses. Financing was provided by First America Bank and Central Fidelity. Rudee Inlet Waterfront Townhouses is located on Lake Rudee in the resort section of the City of Virginia Beach and consists of 12 units. This location sold out very quickly. Each contemporary townhouse is three stories in height and faces Lake Rudee and has access to a private boat slip. Financing was provided by Life Savings Bank. Summerplace Townhouses is part of a mixed use community known as Magruder Estates and is located in the City of Hampton, Virginia. This property is a traditionally designed townhome community of 100 units. Financing was provided by Commerce Bank which is now BB&T. Is a campus style one and two story office park that is located in the Churchland Central Business District, Chesapeake, Virginia. This park consists of six detached all brick colonial style office building comprising of 37,500 square feet. The authentic colonial details include slate roofs, large double hung windows, brass exterior railing and brick pavers porches. Is an 8,320 square foot contemporary style office park that is located on Edwin Drive in the City of Virginia Beach, Virginia. The buildings are constructed of wood frame material and are one story in height and feature sharply pitched roof designs. Acredale Business Park is a mixed use commercial development located in the Kempsville shopping district of the City of Virginia Beach, Virginia on Indian River Road. In addition to the development of the land, RHC built an 8,320 square foot office complex, a 10,000 square foot multi-purpose retail shop building and a 5,000 square foot day care center that is leased to Children's World. American Self Storage is a modern one story mini-storage facility that is located in the Churchland section of the City of Portsmouth, Virginia. This project contains 57,000 square feet and includes an office and manager's living quarters. Is a one story colonial style office building that contains 12,400 square feet of space. This project is located in the Greenbrier section of the City of Chesapeake, Virginia. The authentic colonial details include slate roofs, large double hung windows, brass exterior railing and brick pavers' porches. Parkview Shopps is a 15,000 one story multi-tenant retail building. It is located on a pad site of the Parkview Shopping Center on South Military Highway in the City of Chesapeake, Virginia. Parkview Shopps is constructed of steel frame with bricked and store front exterior. Is a 10,000 square foot one story multi-tenant contemporary office building located at the intersection of North Military Highway and Princess Anne Road in the City of Norfolk, Virginia. © 2019 Ripley Heatwole Company. All Rights Reserved.